Instituto Santa Ana Orphanage: A Day of Hugs! On October 25, the colleagues served at El Instituto Santa Ana, which is located in the city of Adjuntas in Puerto Rico. This institute is a home for girls who have been removed from their homes by the department of child welfare. Instituto Santa Ana was created with the intension of providing Psycho-social, cultural, and spiritual help to young girls, ranging from ages 5 to 14, who have suffered through any type of domestic violence or negligence, where they can receive a better quality of life for their development. They offer services through education, nourishment, health services, spiritual and religious formation, social and psychological services, cultural and recreational activities, among other things. This specific event was called “Dia del Abrazo”, which translated means Day of Hugs. 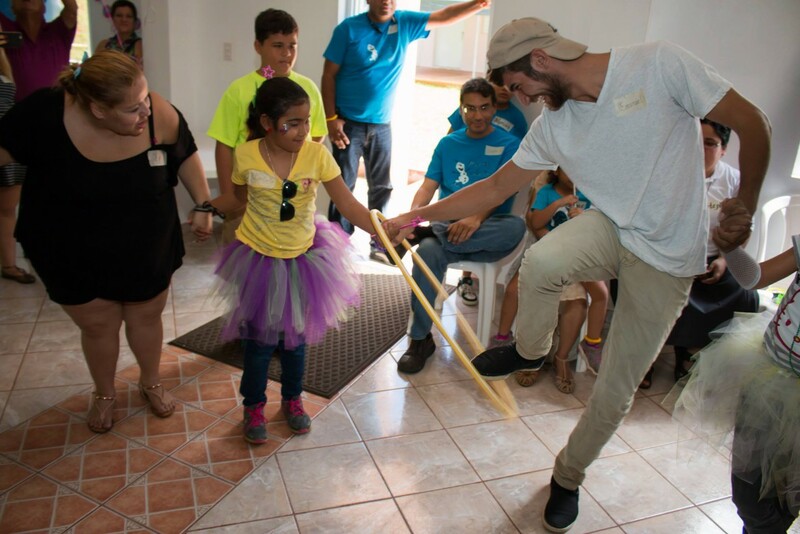 A group of volunteers, including Abante International, came together to provide a recreational day, full of surprises, games, music, magic tricks, good food, and lots of hugs, interaction, and unforgettable moments for the girls. Abante International is proud to support local organizations, like Instituto Santa Ana, fulfill their call to reach out and love their fellow-man by helping those who cannot fend for themselves.